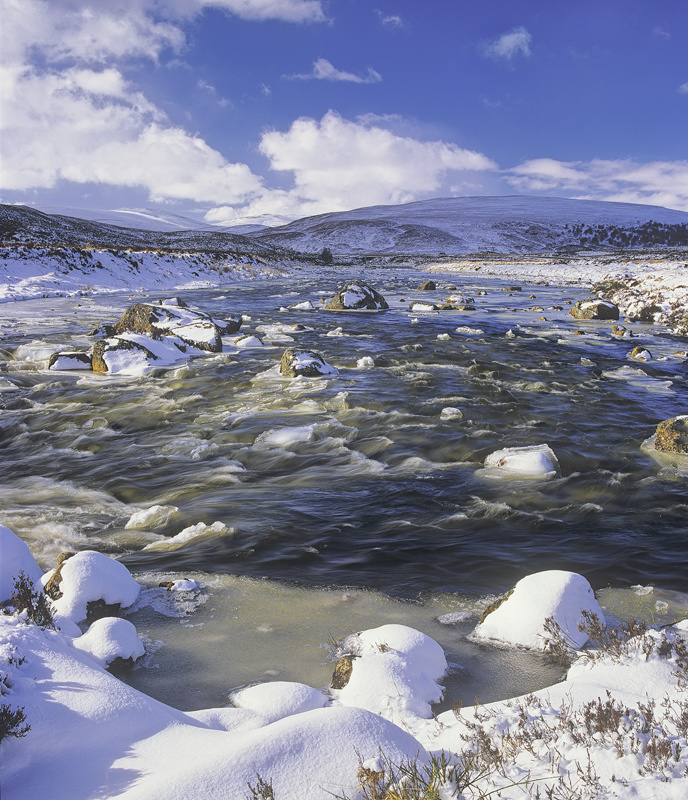 The river that drains from Glascarnoch reservoir flows down the river Garve across a high moorland. The stream is a rough and tumble affair and looks simply stunning in its winter refinery. The ice below the surface of the peat enriched water turns it quite golden especially in strong sunlight and a hint of polarisation accentuated the bubbling clouds. The cradle of snow covered rocks in the immediate foreground helps contain the image as it steps back towards the distant peaks.